This paper acknowledges the importance of an immaculate corporate governance system and effective conflict management within the workplace as the principle ingredient of organization success. Therefore, the article dwells on how best to apply managerial practices to achieve the expected triumph. In addition, sources and methods of conflict resolution are discussed. Conflicts inhibit organizations from achieving their strategic goals and objectives through escalating employees’ goal blindness. 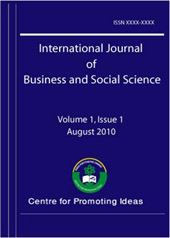 Claims and assertions of the paper are based on the literature review of the topic “Corporate Governance and Conflict Management.” A collection of literature is sampled and reviewed accordingly. The findings are summarized in considerable detail.